The purpose of creation of Yard Engineering Solution (YES) is not only to provide the quality product and after market support but also to provide effective solution for the efficient management of client’s equipment improving its productivity lessening entire cost and downtime of equipment. It has not created just in a day rather a vast intense experience is behind the company and the same is directing the company to fulfil the client’s requirement perfectly. This company has been established to make our clients more competitive in their own related business environment and pay a vital role in sustainable development of Bangladesh. We do believe in good relation and continuous communication with the market so that we can find out the actual requirements of the clients and provide the effective and efficient solution in time. 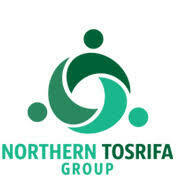 To attain business excellence in its business sector. To be the dependable business partner providing the precise solution in time.